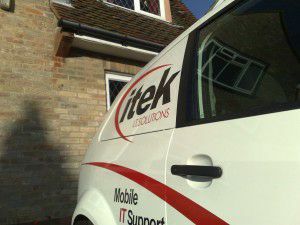 iTek IT Solutions Limited was established after noticing the need for competitive, reliable, friendly and honest mobile IT support and repair within Essex and Suffolk. A reputation which is second to none based on competitive pricing, honest and trustworthy advice and perfectionism to all work undertaken saw iTek IT Solutions Limited continue to rapidly build its client base to include many well known local businesses. iTek IT Solutions Limited continues to offer the best service within the local area by continuing to provide excellent customer service at competitive prices. far the best way of advertising so I am always glad to hear when iTek IT Solution Limited’s services have been recommended.